"Y Tri ?" is an inaugural event for a non-profit organization, Grace and Mercy Ministries. This organization serves the physical needs of the homeless and less fortunate by providing food and temporary shelter without recompense, yet out of love and compassion to others. 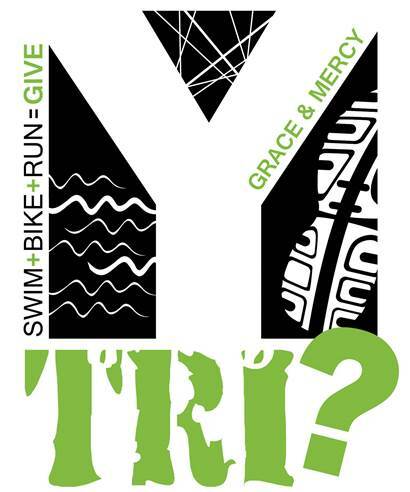 The first annual Y Tri - Sprint tri will be held August 29, 2015. All proceeds from this event will benefit Grace and Mercy Ministries. This is a 150 yard swim, 12 mi bike, and a 3.1 mi run. The race will begin at 7:00am. Race day registration will begin at 6:00am. T-shirts will be available for those that have pre-registered. Those registering on race day will recieve a t-shirt while supplies last. Awards will be given to 1st, 2nd, 3rd places in the following age groups: 18-30, 31-40, 41-49, 50 and over.